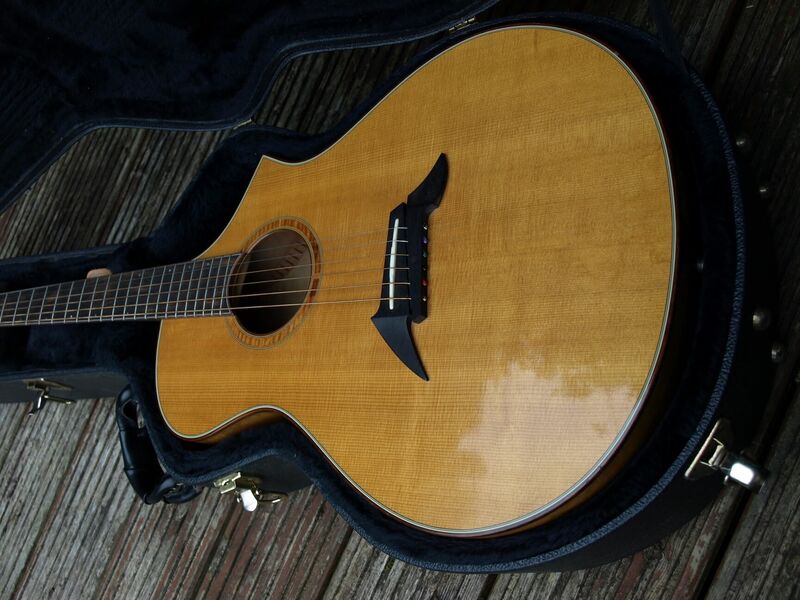 A beautiful 1994 Breedlove C2, Steve Henderson master built. 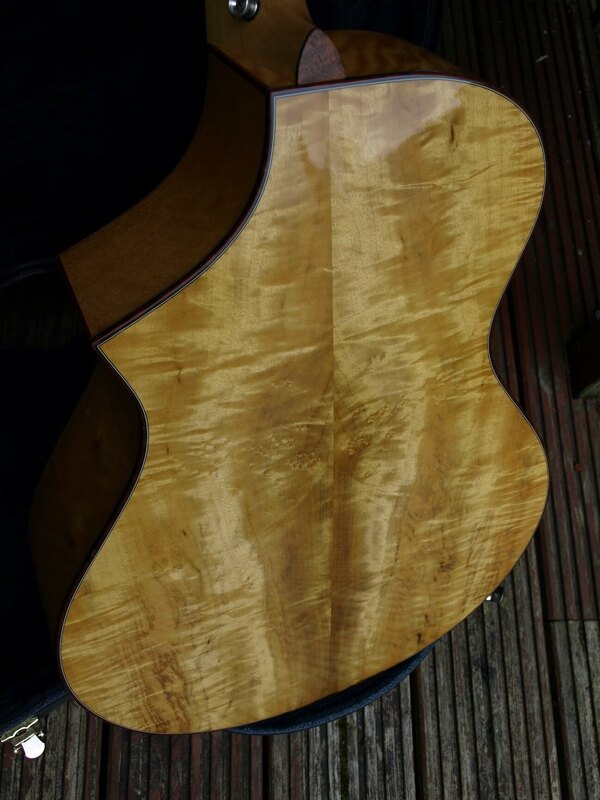 Spruce top, myrtle back and sides. 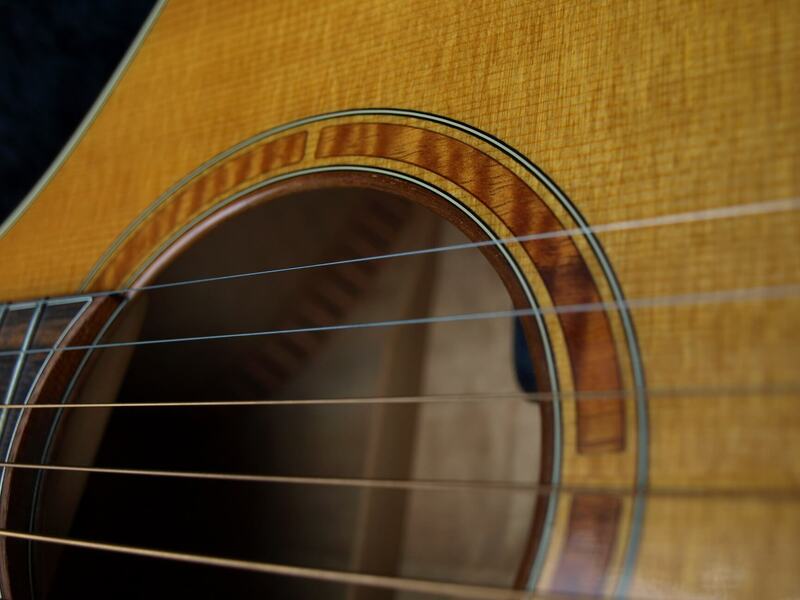 All solid woods, hand-made in Tumalo, Oregon. 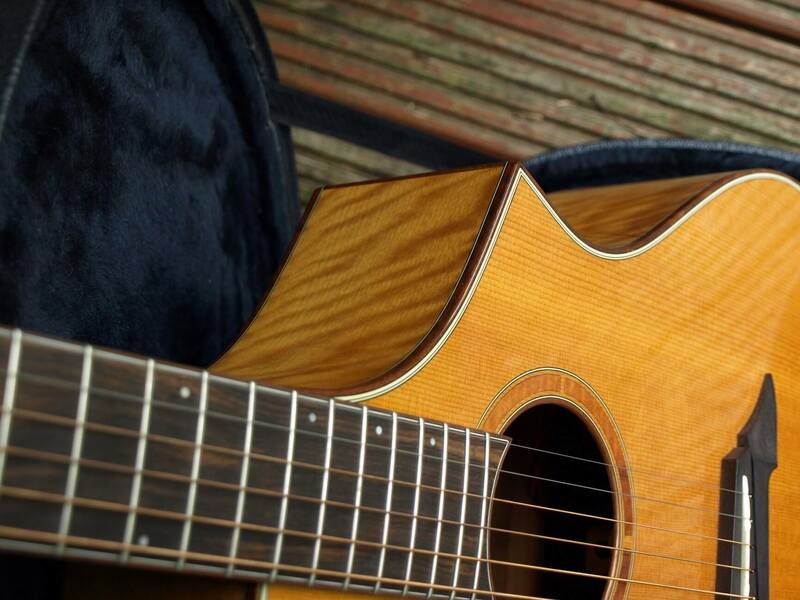 This guitar is exceptionally playable with a very comfortable neck profile and soft action. 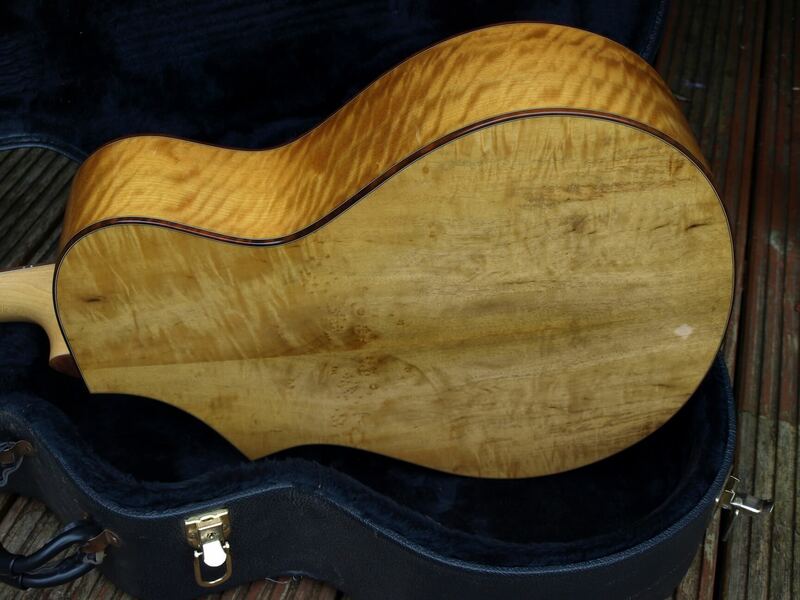 Myrtlewood is a great tone wood and something of a Breedlove speciality. 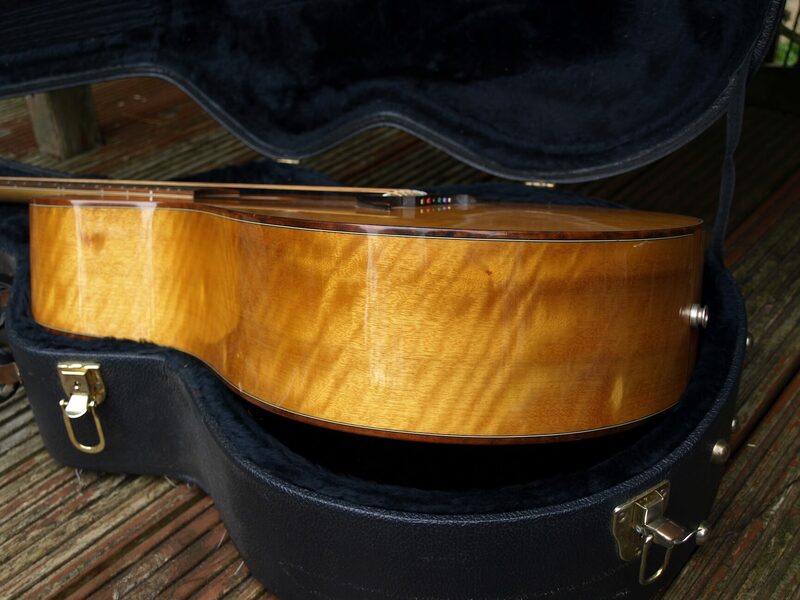 This one has a simply stunning Myrtle back & sides and, sounds amazing and is one of the best playing acoustics I have ever had the fortune to find. The action is so good that it practically plays itself, simply stunning! 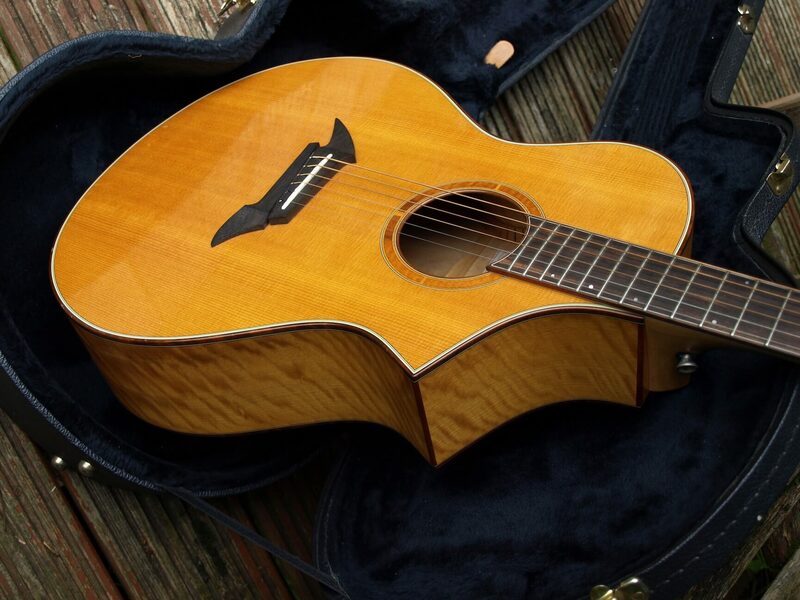 lighter sound than the traditional Rosewood bodies not quite as much bass and with a far more open and expressive top end, a fingerpickers dream. 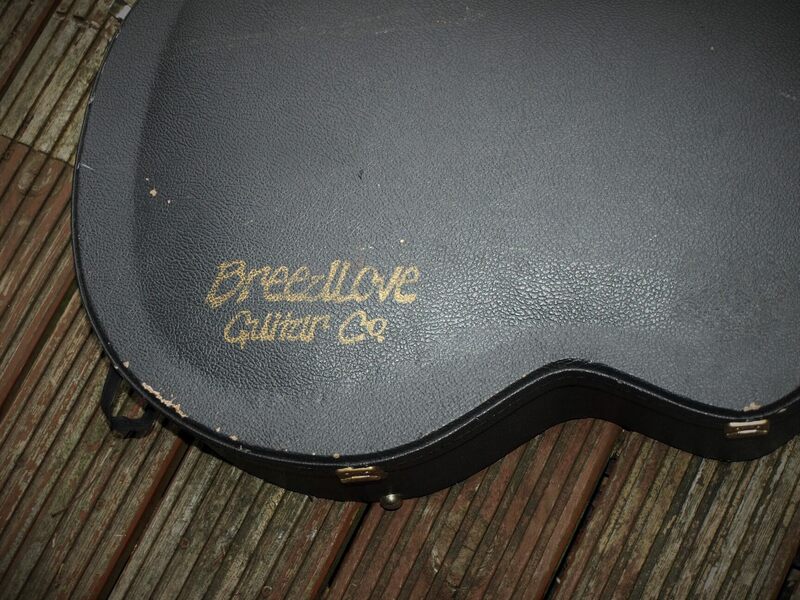 Larry Breedlove and Steve Henderson began Breedlove guitars in 1992, this rare beauty is from 94 when they couldn’t keep up with demand. 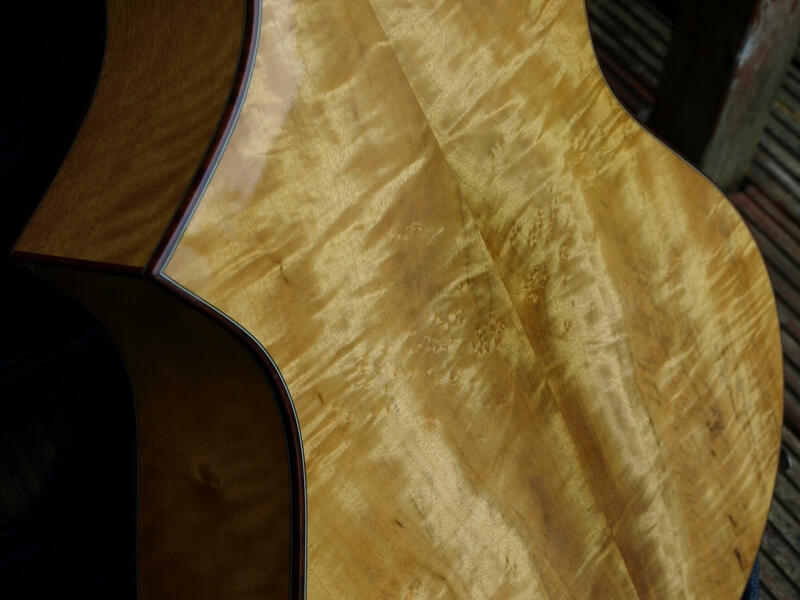 At that time they could hardly make a few hundred guitars a year, someone probably waited a long long time for this one, but as they say, “All good things come to those who wait”. 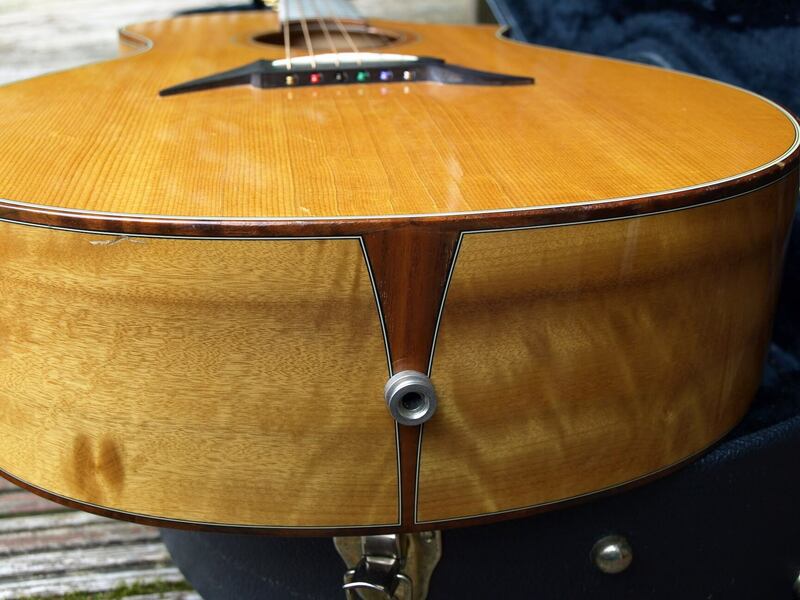 This period of Breedlove is before they began automating some of the processes so just about everything on this guitar would have been made by Steve or Larry. 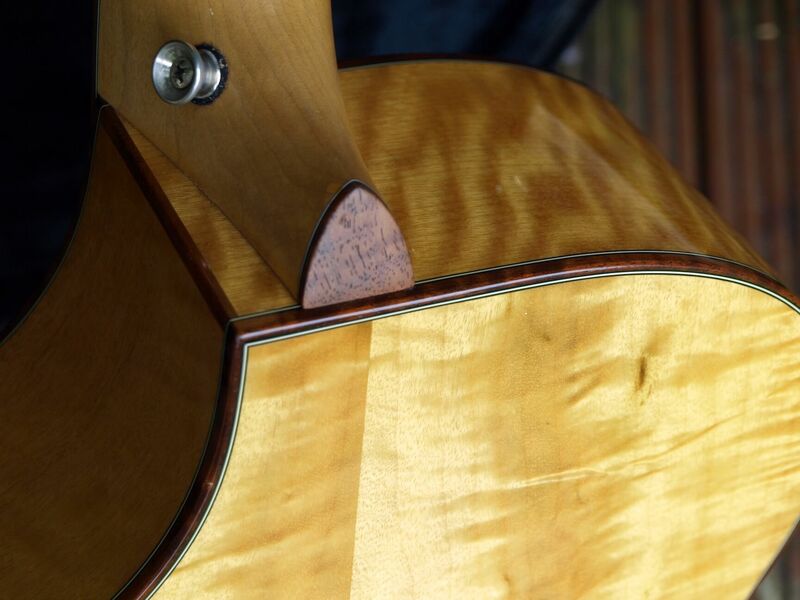 A truly unbelievably finely crafted instrument from the heyday of Breedlove guitars. 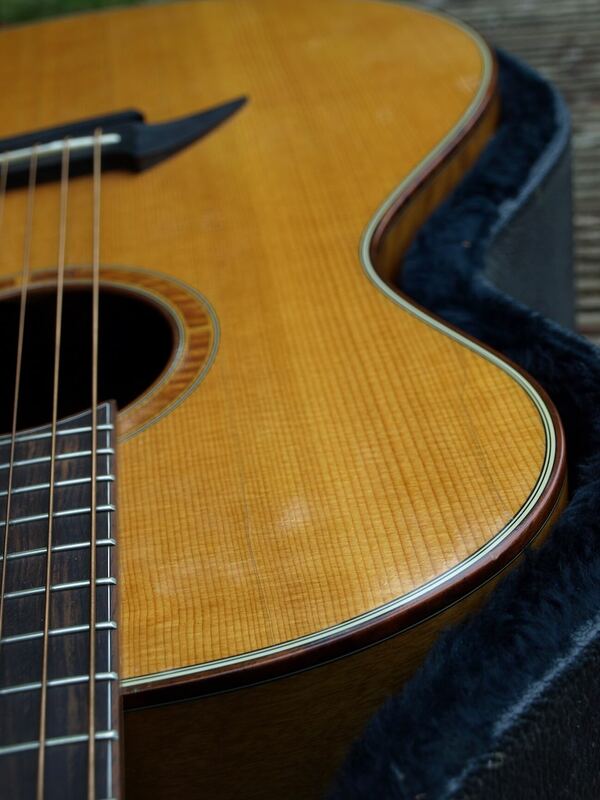 Folks in the know recognise the luthiers signature and these early original models. 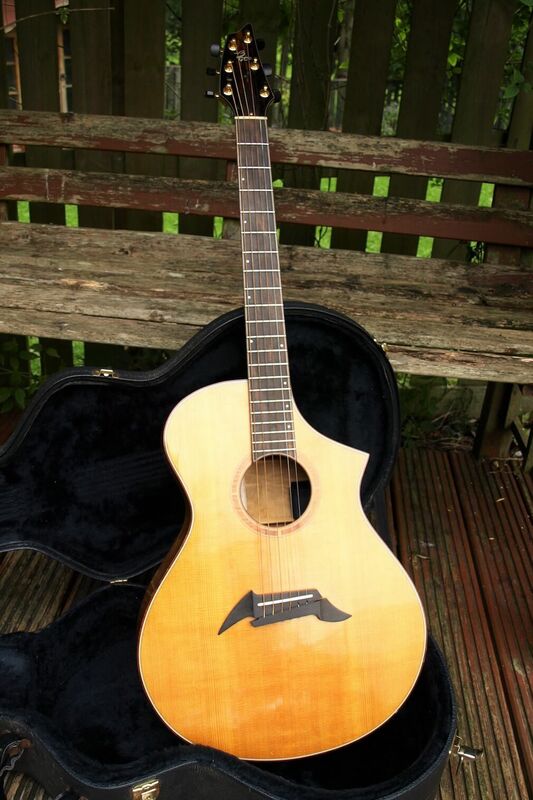 Henderson guitars are like gold dust, and for good reason, There so fecking good! 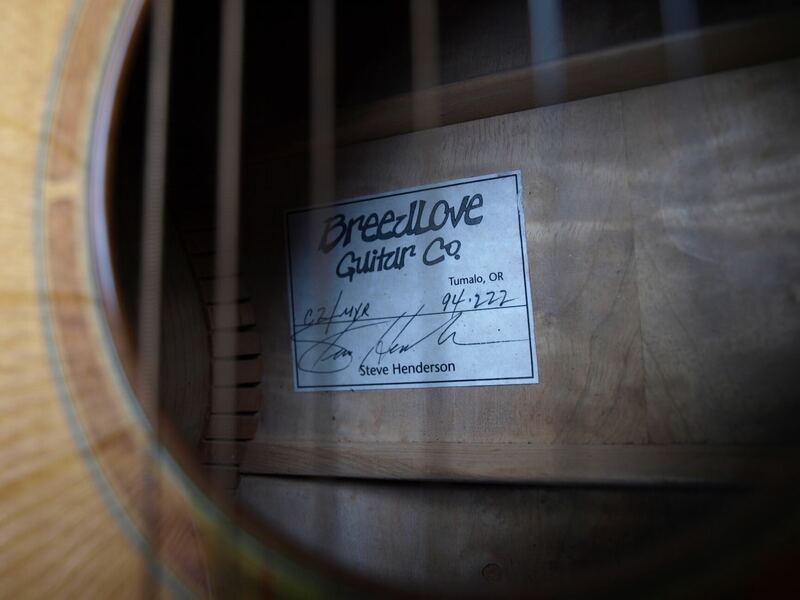 Not to be confused with the far lower end production guitars that Breedlove started making in 2010, this is an original hand crafted model from the sweet old US of A, and hand made by one of Breedloves founding fathers, Steve Henderson. 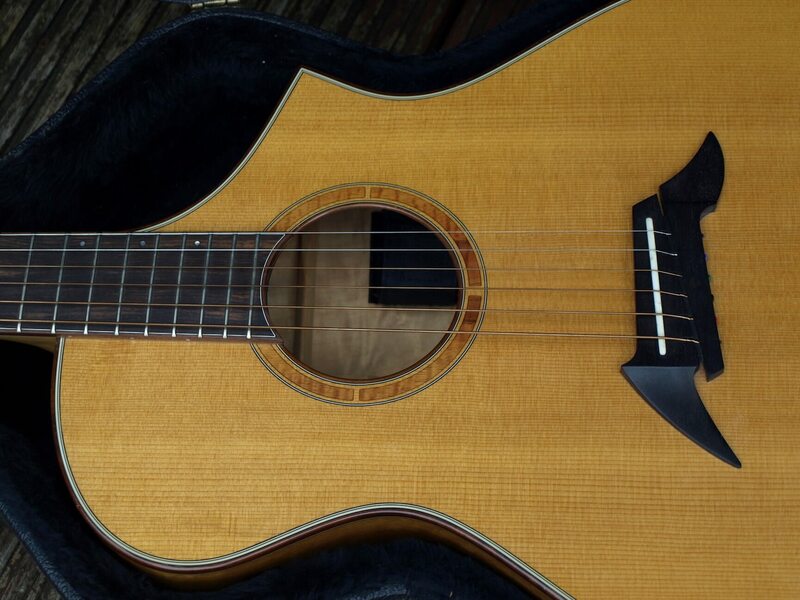 If you want anything close to this from the modern era, you’re looking at a custom Kim Breedlove C2 and you’ll be paying the thick end of $6500, not including shipping and tax. 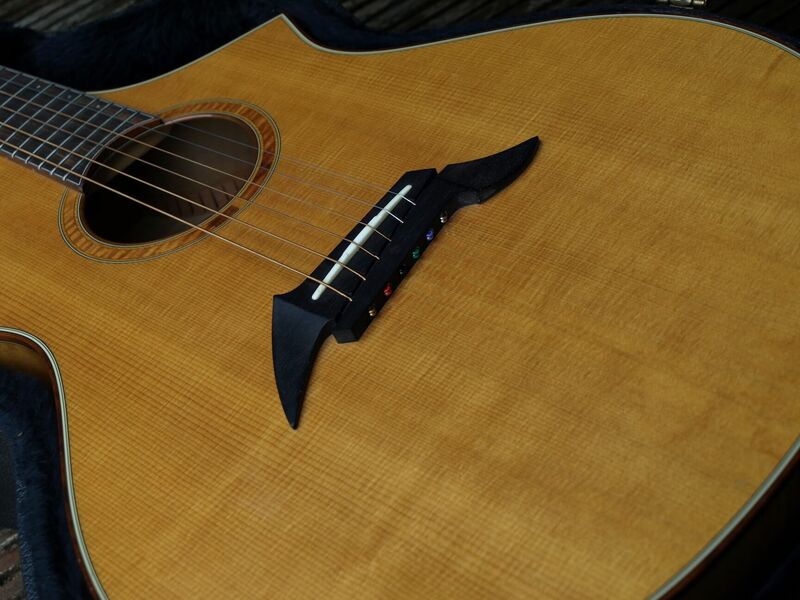 featuring Breedlove’s sharp cutaway, graduated top and the bridge truss which contribute to the tone, resonance and sustain characteristic of Breedlove guitars. 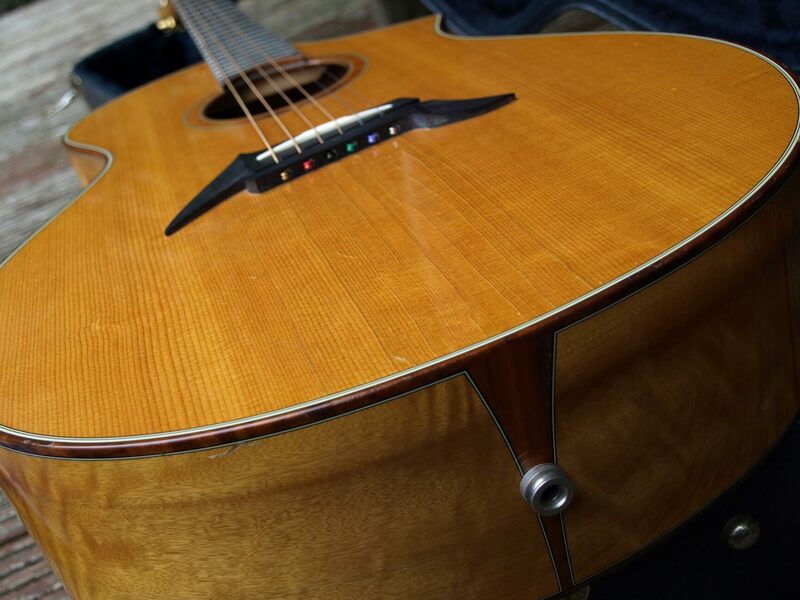 The spruce top is thinner towards the bass side which balances the volume of the strings across the frequency spectrum. 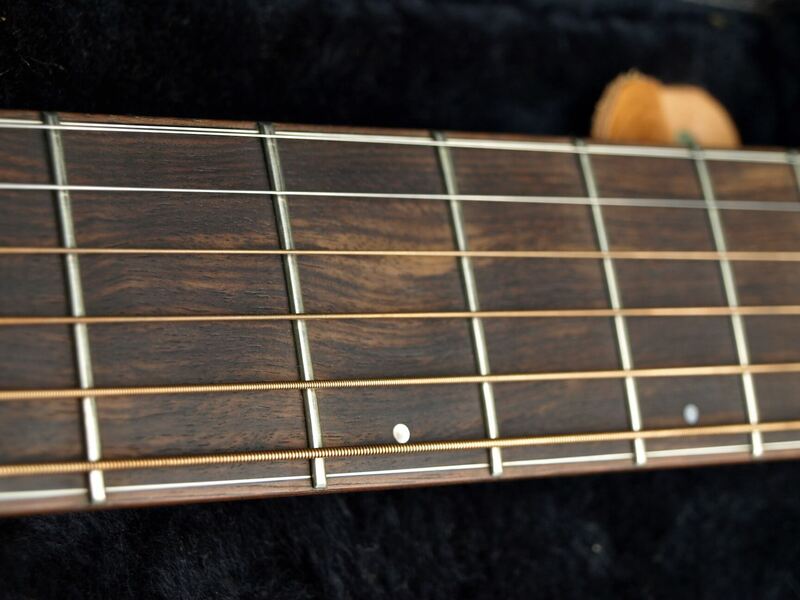 The bridge truss counteracts the tension of the strings, preventing the top being pulled up over time, allowing it to resonate freely and also reduce the thickness required which in turn increases resonance. 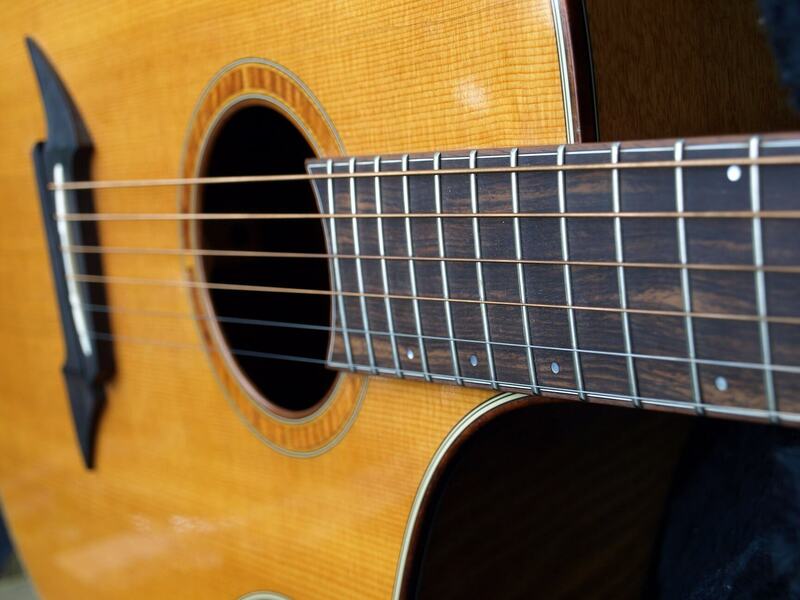 The result is a dynamic, responsive guitar with great tone and sustain. 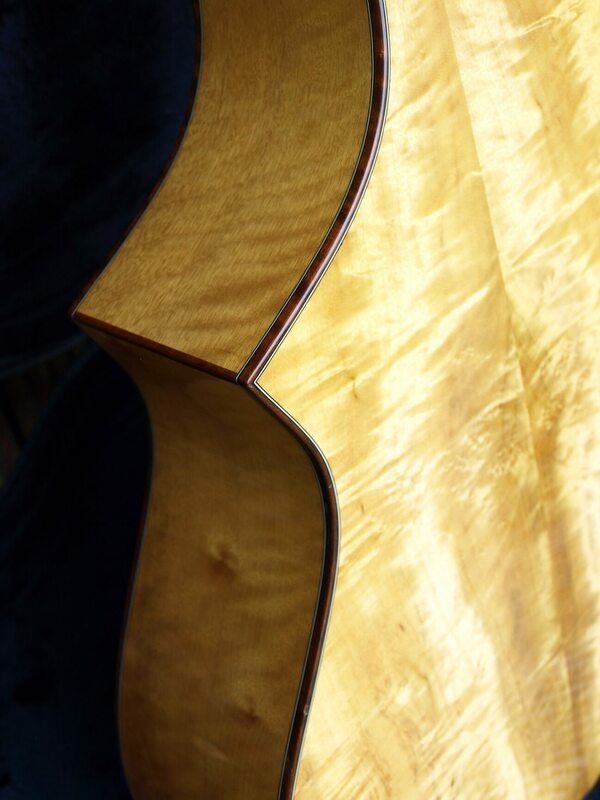 Breedlove guitars have a very distinctive appearance which is in a large part due to form following function. 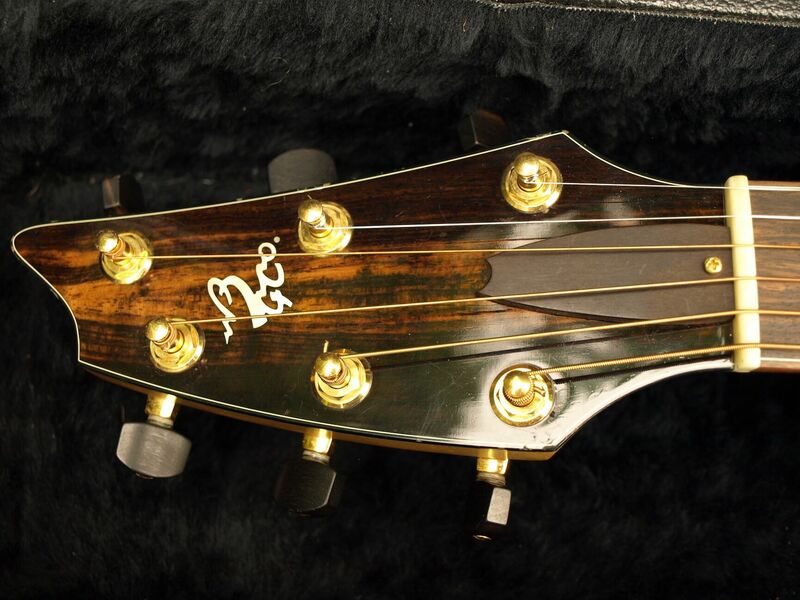 Even the headstock design is derived from the optimal alignment of the strings. 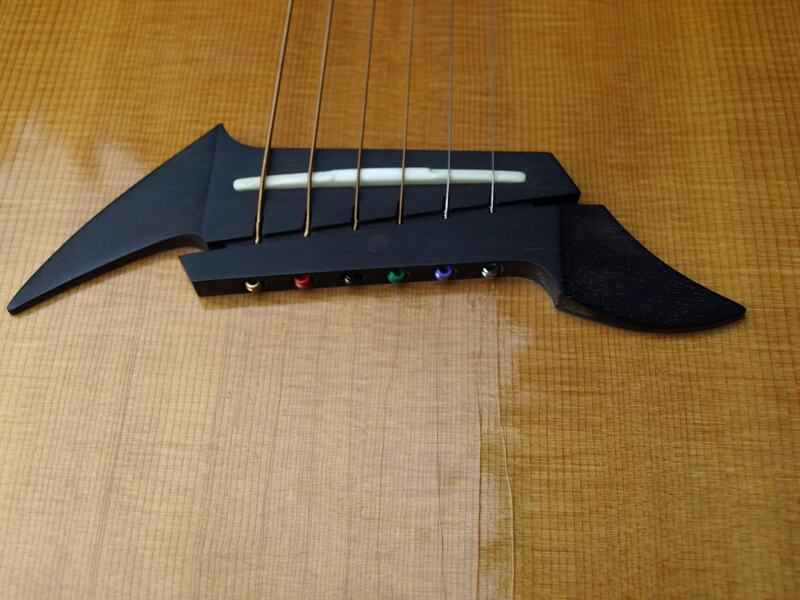 The Breedlove pin less bridge negates the need for holes in the soundboard and allows a gentler break angle over the bridge saddle.